Neff said he’s running the same schedule he ran two years ago despite this year’s rule change that cuts the mandatory rest in Dawson City by 12 hours. Neff’s is the only team that rested less than ten hours by the time they left Carmacks. By the time he left Carmacks, King’s team had rested for roughly 13 hours. He says with temperatures at 40 below and colder, he plans to take advantage of warm checkpoints. “It’s pretty much beyond my wildest imagination why anyone would just go through a checkpoint and then go camp out,” he said. “No, it just makes me build a bigger fire., Brent Sass said in response. 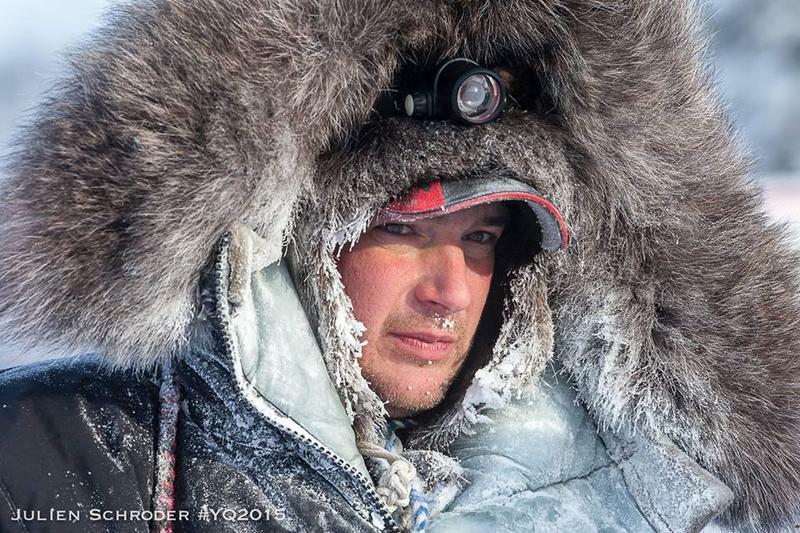 The Eureka musher loves to camp out on the trail. “You can ask anybody out there, I’ve had some pretty big fires going,” he said. Sass camped twice before he took his mandatory six-hour rest in Carmacks. He had to stay in the checkpoint for an additional hour and 15 minutes because of a time adjustment that’s based on the order dog teams left the start line. He says his team is holding up well against the cold, but he has a few dogs with tweaked wrists. “I think everybody’s got a little bit of stuff going on especially with how hard the trail has been, it’s been pretty hard and fast,” he said. Ray Redington Junior’s dogs also had 15 hours of rest when they left Carmacks. He says a few also have some minor wrist injuries. The rookie from Knik says his biggest challenge is the weather. “Well its’ definitely no fun on the weather part. The scenery and the people are awesome. I like mushing with no gloves!” laughed Redington, Junior. So far, the trail has been relatively smooth, but there is a challenging section of rough jumble ice on the Yukon River ahead. 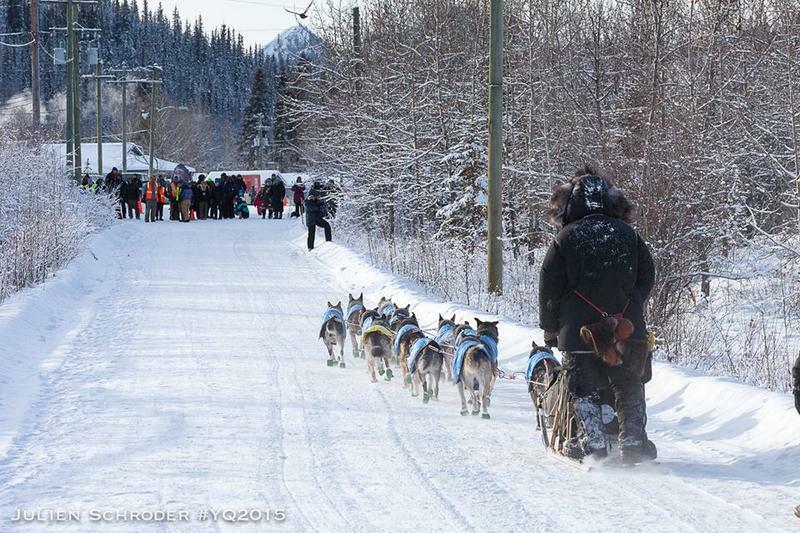 Teams leave the river at McCabe Creek, where they have the option to drop dogs, before pressing on for the next checkpoint at Pelly Crossing. 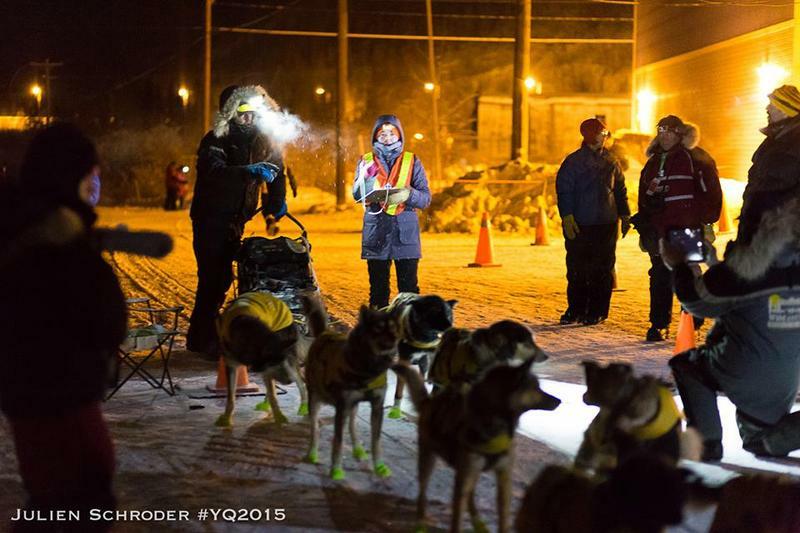 Whitehorse, YK - Mushers drew their bib numbers for the Yukon Quest International Sled Dog Race last (Thursday) night. Allen Moore will leave the start line wearing bib number one. 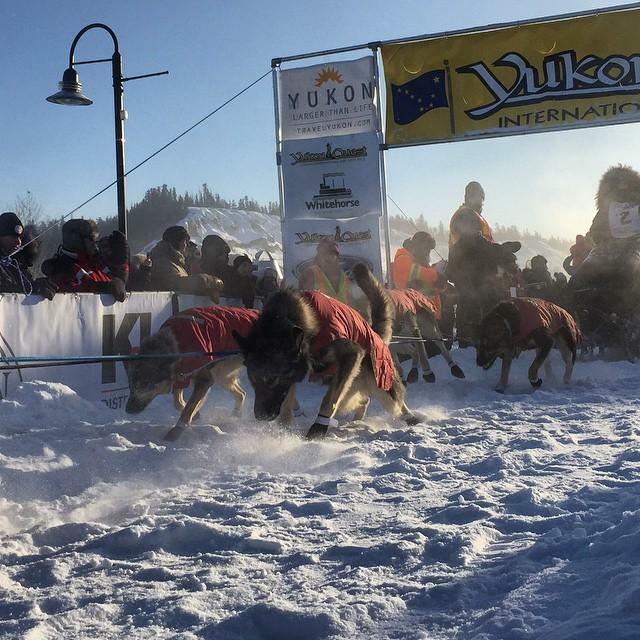 There are 26 teams are set to leave Whitehorse Saturday morning. Among them are four returning champions. During a pre-race event, KUAC’s Emily Schwing caught up with them to find out why they signed up this year.